Over time, the grips on your golf clubs can start to wear down and lose their effectiveness. This can cause your hands to slip or make it uncomfortable to use the clubs, and you will need to replace them if you are going to keep playing like you are used to. You may also have grips that are in fine shape, but you want to replace them for something that works better for you. Whatever your golf grips need, we have you covered with our extensive guide to the best golf grips you can buy. We’ll show you how to find a suitable golf grip and what common mistakes to avoid when shopping for one. Then we will review some of the best grips on the market. We have given you some tips on how to find the right golf grips and what things you should be avoiding. 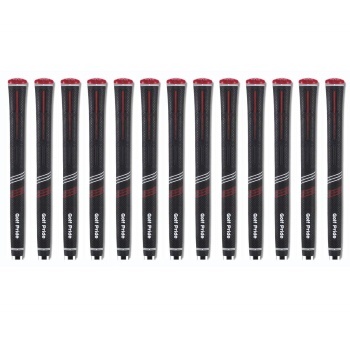 Now we want to review 10 different golf grips that we think are at the top of the current market. We have chosen these based on quality, value and suitability, as well as a range of different grips at various price points to meet different budget needs. Hopefully, one of these is a good fit for you. These are some of the most basic grips you will find, and they are cheap too. 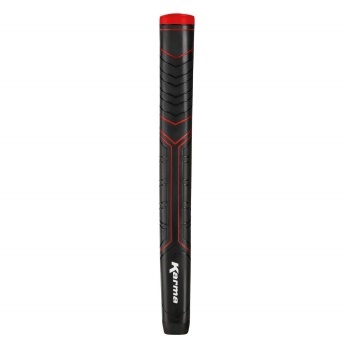 They absorb shock fairly well and provide a bare, plain approach to club grips. There is nothing fancy about them, so if you just want to keep things simple, then this is the way to go. Some golfers feel distracted by grooved and ribbed grips, and this makes for a good alternative. You can choose from a few different sizes, and the difference in the various sizes is only in their thickness. These come with a small, crucial flaw though – they can tear when you are re-gripping a club. Even though, this kind of defect is uncommon. Still, at that price point, you can’t expect them to last for a very long time or to be extremely durable. We wouldn’t suggest these to the serious golfer who needs a high quality replacement for their club to be used in professional games, but for those inexperienced players who want to see how a plain grip works for them, this a great choice at a price that won’t hurt your wallet. One of the less expensive options. This grip gives you a wrapped look and feel that provides minor traction for your hands. 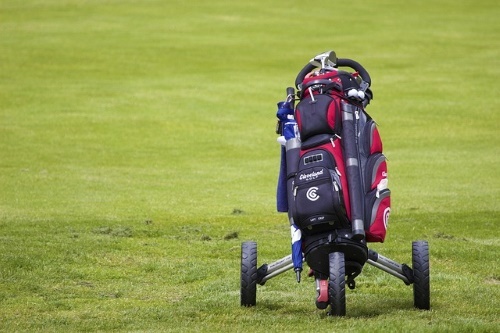 If you have a lot of problem holding onto the club when you golf, then this probably isn’t for you, but for most people it will provide enough traction. The standout feature of this grip is how soft it is. For anyone who has sensitive skin or who feels sore in their hands or wrists after playing, this can be a good option. It absorbs shock very well and offers plenty of cushioning to protect your hands. It’s also affordably priced and cut out of one reasonably durable piece of material. The double tack rubber should hold up very well to extended play, so you won’t have to replace these grips too often. If your hands sweat a lot and you don’t wear gloves though, then this won’t be right for you. The wrap design probably won’t be enough to keep the club from slipping as your hands get damp, so keep that in mind. Very soft feel is comfortable for the hands. Made to last with double tack design. Simply won’t work well for some people. This is a unique grip design that works very well for a lot of players. Experienced golfers swear by it, but that doesn’t mean it is the right option for you. It’s kind of expensive, or at least it can be depending on the kind of options you go with. But you get a grip that is ergonomically designed to keep the club in your hands. It uses a combination of contoured and layered pieces to give you an excellent grip. It is made for a certain style of play as well, encouraging you to place your hands and fingers in precise areas, and if your style of play or the way you hold the club is different than what this grip is designed for, then you may have some problems. That means it is a great grip to help you train on the clubs and how to hold them correctly. If you are already set in your ways and will never change the way you grip your clubs, then this isn’t for you. But for those who feel they need some help, or want to make some adjustments to their game, this grip from Brunton could be a great option. Lots of options to pick from. Provides a fantastic grip with superb traction. Pretty costly compared to other options. Might not be made for your style of play. Here is another inexpensive option, and it gives you a contoured, wrap grip that is similar to a ribbed style of grip. It includes a core stabilizer that cuts down on your torque and improves your overall control. That may not be to some golfers’ liking, but most inexperienced players can benefit from the improved control. The high tack rubber can be rough on your hands, if you have smooth, soft skin. Even though, it still offers incredible traction that is great at keeping the club in your grip. 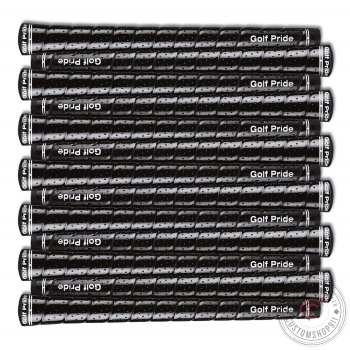 Golf Pride has designed a grip that is impressively durable and yet very comfortable too. Depending on how you play, you can end up with chafed hands, but most people are going to be very comfortable with how this grip feels in their hands. Should last you for a long time. Can be kind of rough on your hands. Better for inexperienced players rather than professionals. This is another rubber option, but this grip from Karma is quite soft. That makes it great for keeping your hands comfortable during long golfing sessions, but it also means that the grip isn’t very durable. Expect to replace this one every few months, but for this price, it won’t be too heavy on your wallet. This grip is designed with small holes through it, which gives you some great ventilation and keeps your hands from sweating too much while you play. 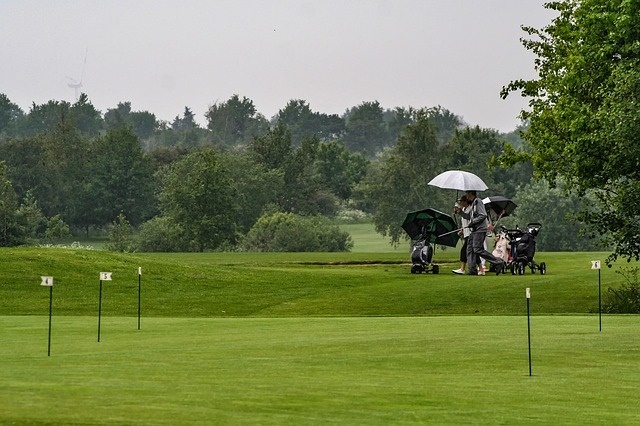 It’s also great at providing traction and keeping your hands on the clubs in even the worst conditions. No matter what kind of skin you have, this should be a good option for you. Just don’t expect it to hold up for very long before needing replacement. Karma makes a good range of golf grips for different styles of players. This one is oversized and ribbed, and it provides excellent traction without being too rough on your skin. There are special traction features near the fingertip area that helps you keep a hold on your clubs and prevent slipping. The limited taper design prevents slipping as well, since most of the grip is the same width. Where the grip tapers off is where most people’s hands will slip, and this specialized grip prevents that. You’ll know if you need something like this if you pay attention to where your hands slip on the clubs you are used to playing with. Great for a variety of players. Oversized design can prevent slippage. Extra traction features which other grips don’t have. May be too large to be comfortable for some players. This putter grip is more attractive than most, and you can custom-style it by choosing team names or any other letter additions or logos. The small part that attaches to the top can be lost easily, and the grip doesn’t offer as much traction as the very best products out there, but you are mostly paying for the ability to add team logos to your club with this option. You still get a good grip for the price, and its unique style is certainly appealing. The grip itself is reasonably durable and offers minimal traction that’s good for softer hands. It should not irritate your skin and should allow you to play for hours without any discomfort, but don’t expect sweaty hands to do very well holding it. Can feel slippery to some players. Not a lot of traction. This simple yet effective grip is excellent at reducing shock and hand fatigue. Many players who try it say they can play for hours without any problems. The fairly soft rubber makes it gentle on the hands, but there will be some people who find it uncomfortable to use for extended periods of time. Those with softer skin may want something a bit softer, but this works great for most players. 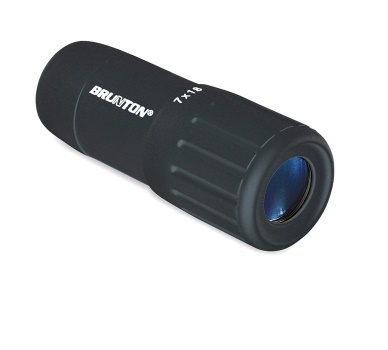 The weather resistant grip is very durable and designed to last you for a long time. There are plenty of options to pick from to customize the grip to your liking, but you need to be aware that some of them are kind of expensive and can drastically drive the price up. Different style options can make it kind of pricey. 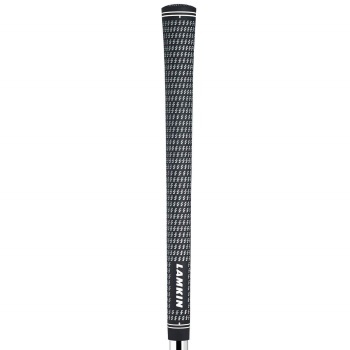 This product by Lamkin may look like a corded grip, but don’t be fooled. Yes, it is contoured and provides some great traction, but it is not the same as a corded grip, which means it will be a bit more gentle on your hands. It does have that unique style that corded grips have, making it a standout on the golf course. The spacing of the contours provides excellent traction and stability and ensures you have better control over your shots. The synthetic rubber used to make this grip is very durable and designed to last a long time. It even performs well in wet weather, which isn’t something you can say about a lot of the options out there. SuperStroke has created one of the most comfortable grips available today. This is also an expensive grip, but you’re definitely paying for quality materials and added comfort over a lot of the competition with this one. It is specially designed to reduce tension in your forearms and wrists as you play, so even if the grip itself doesn’t feel that different when you start playing, you will notice the difference down your arms later on in the game. It’s great for longer games and those who have trouble playing with their club for hours at a time. Your arm muscles and joints simply feel less tired after using this grip. Quality materials mean your grip will last. Reduces forearm and wrist tensions. More expensive than many of the other option here. If you have an old golf grip, it may make it difficult for you to play well. Your club may slip out of your hands all the time, and you can have trouble focusing on your shots because you never know when your grip is going to give out on you. Usually, the average players needs to change their grips twice a year. How often you play will determine how often you need to change yours, but keep that number in mind as you plan your golf spending through the year. Having a golf grip that works well for you means that you can count on your club to stay in your hands and you can make your shots more accurate. Even if your hands slip only slightly, that can make a big impact on where your ball ends up, and you need to make sure you have the right grip. A good golf grip feels comfortable and often times feels unnoticeable. You will hardly even feel it as you swing your club, which is exactly how it should be. If your grip feels rough, it doesn’t fit your hand well or is just slippery, then you’re going to be distracted while you play and less likely to nail those shots. The grip on your club is such a small thing, but it makes a big difference in how you play, how frustrated or how confident you feel in your game and how long you can play the game in a single sitting, without feeling any discomfort. The wrong grip can leave your hands feeling strained after a long game, or they can even cause your skin to rub raw and create blisters on your hands. It’s going to be tough to play after that kind of experience, so give some thought to the grips you buy rather than just purchasing whatever seems cheap or convenient for you. It is worth putting a little extra thought into this small piece of golfing equipment, because it will make a big difference. Not every golf grip is going to be to your liking, and you may not know until you are out on the course how well the grip you bought will work for you. Size- One of the most important aspects of choosing a grip is the size of the grip. If it is too small or too large, then it won’t be comfortable for you. Thankfully, there are only a couple of grip sizes to pick from. The standard grip is made for people whose hands are somewhere between seven to eight and three quarters of an inch from the middle finger’s tip to the crease of the wrist. Junior, mid-size and jumbo grips give you a range of sizes below and above that. It is advised to compare your glove size to the measurements for these different grip sizes to determine what grip will fit you best. Shape- There are a few different styles and shapes of grasp as well, and you need to factor those into your decision. Some grips are simply smooth, plain designs with a bunch of small holes punched in them for ventilation. There are also ribbed grips that offer a bit more traction and then grooved grips that give you space to rest each of your fingers. Different people have different preferences, and it’s a good idea to go to a golf shop and try out the different kinds of grips before you buy yours. That’s especially true if you are buying your grips online, since you won’t be able to feel the grips you are considering and how they work with your hands and your style of play. Have Some Options- You might not make the right choice the first time. You may end up with a grip that you aren’t thrilled with but may not realize it until you have been using it for a few games. Grips are so cheap that you can probably afford to buy a few different kinds and test them out to see what works best for you. If you want your game to be as good as possible and to keep improving, then experimenting with your grips is one of the cheapest ways to do that, and it’s a good idea to buy a few different grips at once. Durability- Even without paying a lot of money, you can get a grip that lasts for a while. You may need to replace even the best grips a couple times a year, but low quality grips will need to be replaced even more often. That’s just going be a waste of money if you are buying grips that aren’t designed to be durable, so spend the little extra money it takes to get a decent one and then don’t worry about having to replace your grip unexpectedly. There are some common mistakes that new or inexperienced golfers will make when it comes to picking golf grips. We want to cover a few of those here so that you know what to avoid when you are shopping for the best golf grips for you. Sizing without Testing- The best way to determine if a certain golf grip works well for you is to test it out in the same way you would play the game. A lot of people will simply choose their grip based on price or look. PGA.com recommends that you try the grips with the same gear and stance that you would play the game with. If you golf with a glove on, then you want to test the grip while wearing gloves. Test it out while using the same stance you would use in your game as well, as that can make a difference too. You may not be able to do all this if you are buying your grips online, so pay attention to customer reviews and what they have to say about their hands-on experience using these grips. You can use their experience to make an informed decision. Picking the Cheapest Grips- It’s tempting to just go with inexpensive grips for your clubs, if you are going to be changing these a couple of times a year. After all, if they are basically a disposable part of your golfing equipment, then they can’t be that important, right? Wrong. The cheaper grips sometimes (but not always) will usually fall apart faster and feel less comfortable compared to the more expensive, higher quality ones. You get what you pay for, so if you are only paying a few dollars for yours, expect to get poor performance out of your grips. Ignoring Appearance Entirely- There is a tendency for some golfers to focus too much on how the grip looks rather than how it feels, but there is also an opposite side to that coin which is just as dangerous. That would be not considering the look of a grip at all as you choose yours. You should buy a grip that you feel comfortable with and that fills you with confidence. You want something that looks good on your golf clubs and that you can feel good about holding next to your friends’ clubs. The look of the grip may not change how it performs, but it can affect how you perform. You can start to feel inadequate or outclassed if you have a grip that you don’t like the look of. Choosing the Popular Grips- A lot of golfers swear by corded grips, which are kind of hot right now, but simply aren’t right for everyone. Golfers claim they can really beat up your hands, causing rashes and other discomfort. Corded grips are great for people who have sweaty hands and who have trouble keeping the club in their hands as they swing, but for everyone else, especially those with soft hands, they are a bad idea. The same guidelines apply to soft and hard grips. Sometimes one or the other is “the” thing in golf. Still, you need to choose what works best for you. Just because your friend or a golf pro swears by them does not mean that they will work well for your skin type and playing style. Keep in mind that everyone is different when looking for the best golf grips. Now that you know what some of the best golf grips are and how to find a decent grip for your game, you can make an informed decision about buying the best golf grip. Every aspect of your golf game needs to be considered when you are looking for ways to improve, and even something as minor as the grips can have an impact that’s noticeable, when you change from one product to another. It is our hope that this guide helps you make a smart choice and find just what you need to give your game a little boost. 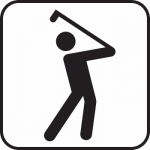 Please feel free to check out our other guides to the other aspects of golfing as you continue to improve your game.